SAW024466 SCOTLAND (1949). 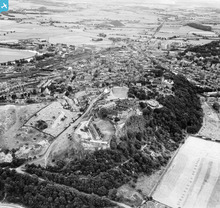 Stirling, general view, showing Stirling Castle and Upper Bridge Street. An oblique aerial photograph taken facing south-east. Title [SAW024466] Stirling, general view, showing Stirling Castle and Upper Bridge Street. An oblique aerial photograph taken facing south-east. Formerly Kings Park FC ground, Forthbank Park. 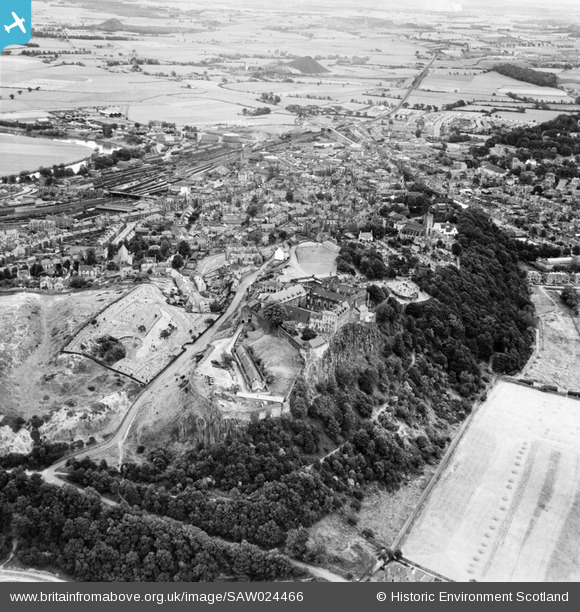 A striking image of Stirling Castle.